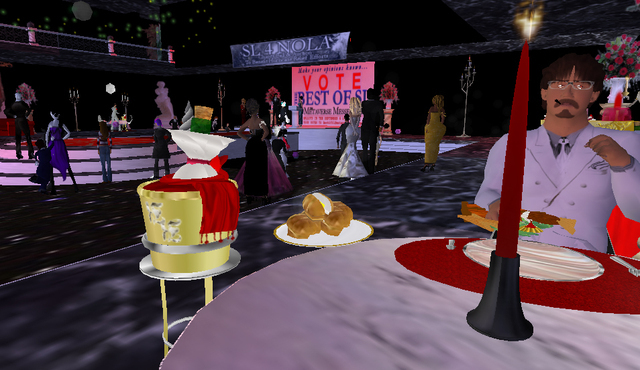 Embedded as in-world journalist Hamlet Linden, Wagner James Au reports first-hand on the emerging society of Second Life. 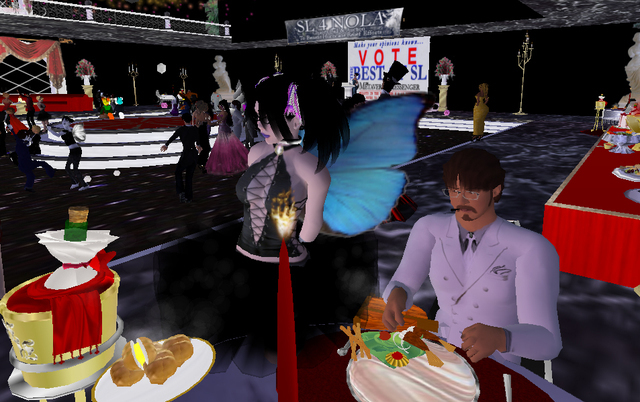 "The Second Life of Lawrence Lessig"
"The Freeform Identity Bebop of Eboni Khan"
As of 6:33AM SLT today, Pathfinder Linden and FlipperPA Peregrine's L$-to-US$ donation program for the American Red Cross has amassed L$1,020,163. Or at current conversion rates as measured on the open market, about $3468.00. "I'm going to be selling off the first chunk today and making the donation," Peregine announces to me, grinning. This is all collected in one night-- rather, in two hours. That's the good news. The even better news is, this is only the beginning.